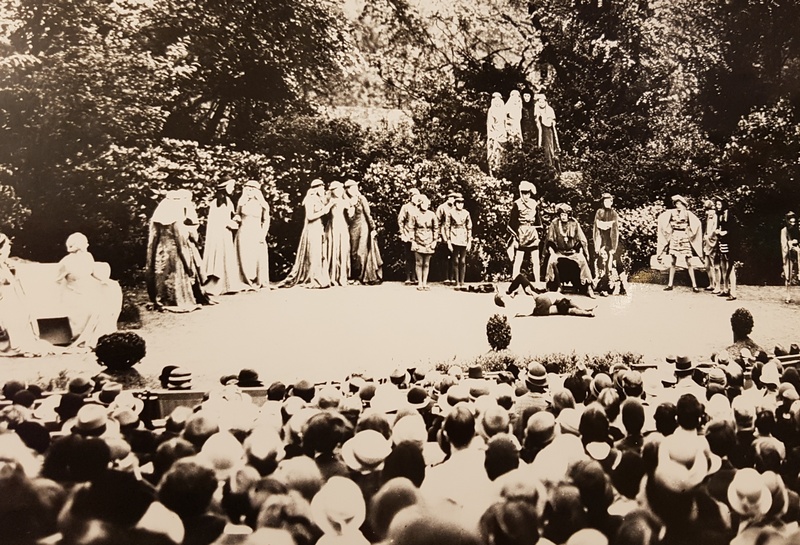 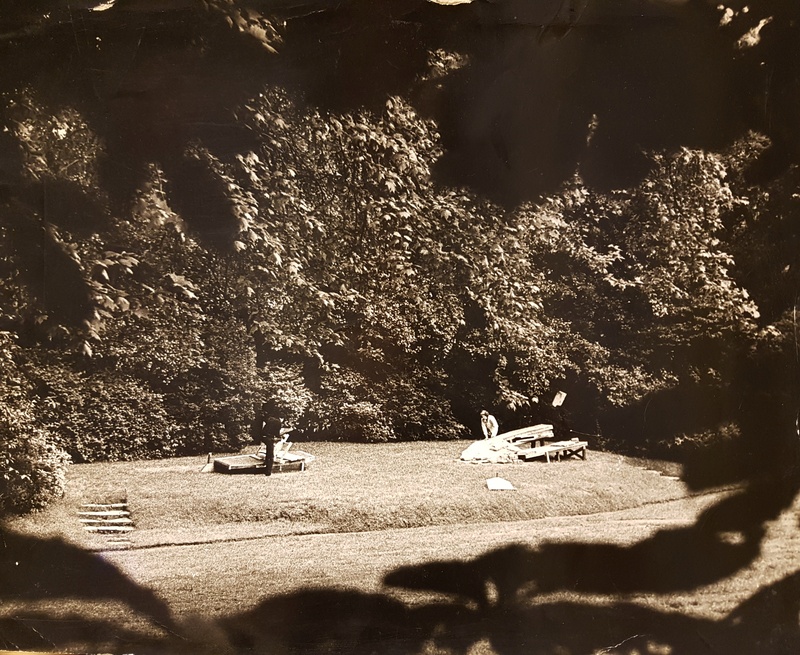 The Open Air Theatre was founded in 1932 as a makeshift theatre in Queen Mary's Gardens, with permission granted by The Ministry of Works, to stage Twelfth Night, a production produced by Sydney Carroll and Robert Atkins. 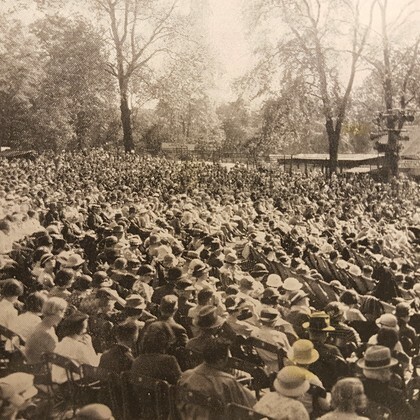 For almost three decades semi-circular seating was arranged around the stage, deck chairs in front with slatted park chairs behind. 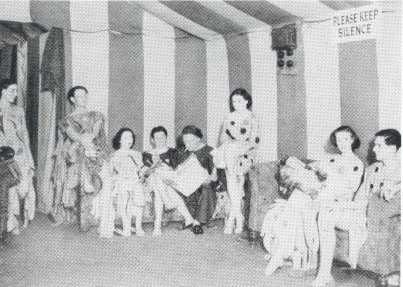 A tent was built to house shows should wet weather halt performances on the main stage. 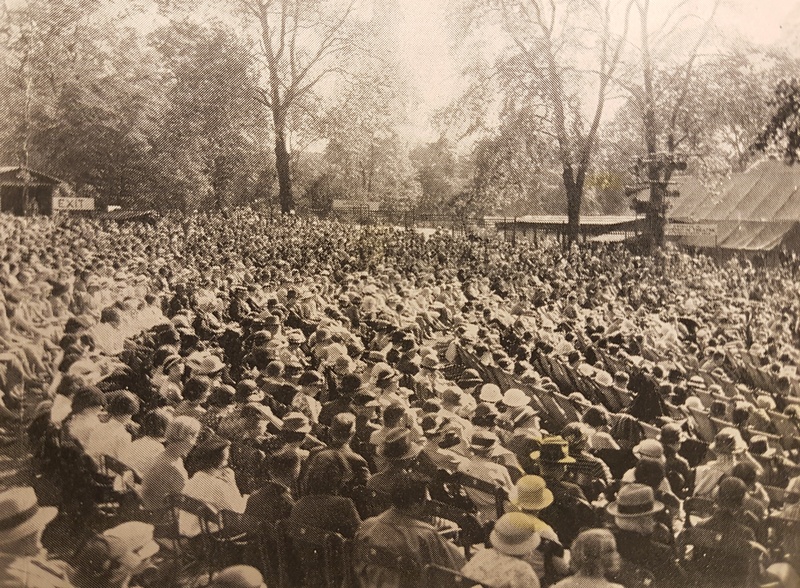 In 1949 brick dressing rooms were built behind the stage to replace the tents that actors had been using in the previous years. 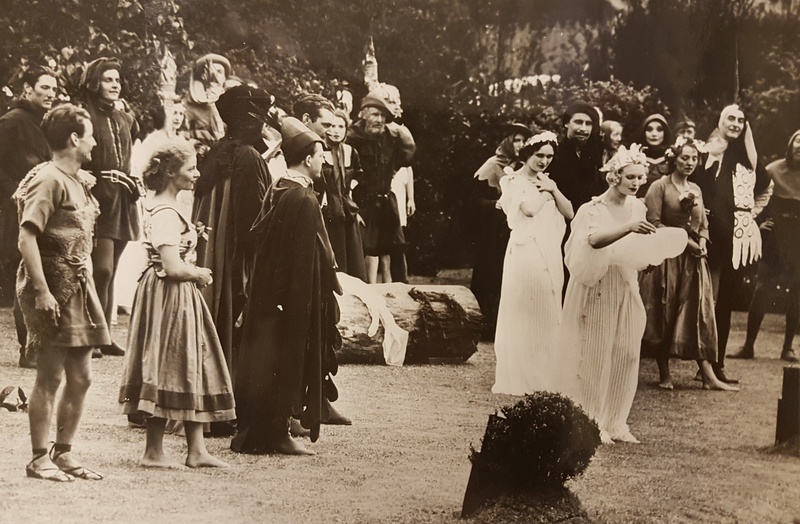 The New Shakespeare Company was formed in 1962 by David William and David Conville, and marked a new era for the theatre.